The Honor View 20 (Honor V20) smartphone recently launched with a punch-hole display and advanced AI features. Huawei called it “World’s First In-Screen Camera” phone. In this post, we will talk about how to download Honor View 20 themes on all EMUI devices easily and use them. The Honor View 20 theme works on all EMUI 8/EMUI 9 running devices. The Chinese smartphone manufacturer Huawei recently launched a notch-less FullView display device called Honor View 20 (Honor V20). The device comes with a 6.4-inch Full HD+ IPS LCD display, featuring a punch-hole selfie camera on the screen. The device is powered by Kirin 980 HIAI octa-core processor along with a dual NPU AI unit. It runs on EMUI 9 based on Android 9.0 Pie out-of-the-box. The phone packed with a 6GB/8GB of RAM and 128GB/256GB of internal storage. The Honor View 20 features a 48MP single primary camera with f/1.8 aperture and a Time of Flight (ToF) for depth effect. It can also create a 3D avatars of people. While the punch-hole selfie camera provides a 25MP sensor with AI capabilities. The phone packed with a 4,000 mAh battery with Huawei Super Charge technology. You can easily download the themes file and install it manually on your EMUI running phones. The .hwt theme file will simply replace the stock theme file. The latest Honor View 20 themes based on the latest EMUI 9.0 is really optimized and gorgeous. We’re providing a set of 11 themes in a zip file, which you need to download and extract on your device. 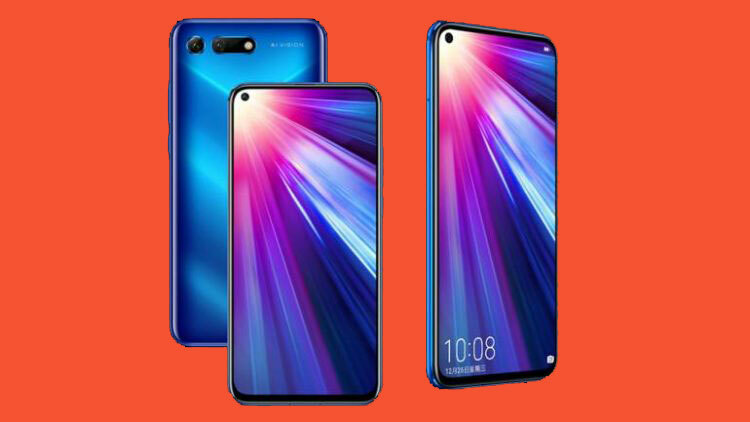 While you can also download the Honor View 20 Stock Wallpapers as well to give a complete View 20 look to any Honor/Huawei devices. Disclaimer! Huawei has stopped providing unlock bootloader support to their devices. So, the bootloaders of the Honor View 20 device can’t be unlocked, which means the users can’t root or install custom ROMs. First, Download the Honor View 20 Theme (zip) file from the above link and extract it on your device storage. Now place the .hwt file in HWThemes folder in the root directory of your device storage. Now open the Themes app and apply it from there. Tap on Customize > Now you should be able to choose new themes. Select your preferred theme > Apply it. Please Note: You may have to reboot your phone for the first time to implement the theme properly.